Imperial – Inch Bolt Thread Pitch Chart So what is a thread’s TPI? (which is an acronym for “Threads per Inch”. 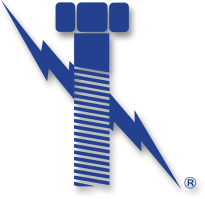 As fastener manufactures, we got you covered. Below are the most commonly used thread pitches (TPI’s) for inch bolts and nuts. Making sure that a nut fits a bolt is actually more complicated that just “nuts and bolts”. Seriously speaking, there are many complicated factors creating threads to make sure that they fit properly, and securly. One of the factors is that the threads of mating parts must have the same TPI (threads per 1 inch). However it should be noted that the Metric, DIN, EU standards discuss this feature in reverse and refer to it as a thread’s “pitch” (which is the distance in mm between 2 adjacent threads). Why Lightning Bolt for Imperial – Inch Bolt Thread Pitch Chart and inch threaded Fasteners?